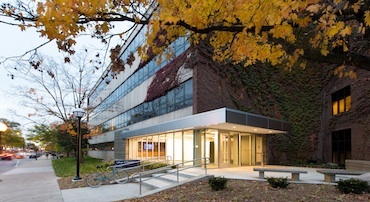 As part of the world-class University of Michigan Health System (UMHS), the Department of Pharmacy Services has high standards for service, education, and research. The Health System and the College of Pharmacy are each ranked in the top tier of institutions nationwide, and our residency program has received ASHP recognition. Residents will have the opportunity to learn from some of the leading practitioners in the world. UMHS integrates the outstanding services of University Hospital (a Level I trauma center), C.S. Mott Children's Hospital, Von Voigtlander Women's Hospital, and an ambulatory care network that handles an annual volume of over 1.6 million patient visits. The residency program at the University of Michigan has a rich history, being one of the first accredited pharmacy residency training programs in the nation. We continue this legacy with training that strives to provide each resident the opportunity to develop practice skills, expand his or her knowledge, and gain experience in an environment that promotes excellence and innovation. We hope that you will consider the University of Michigan for your residency training experience! Learn more by visiting the Pharmacy Residency Program FAQ and Pharmacy Residency Program Site Map. The University of Michigan is an Affirmative Action/Equal Opportunity Employer.